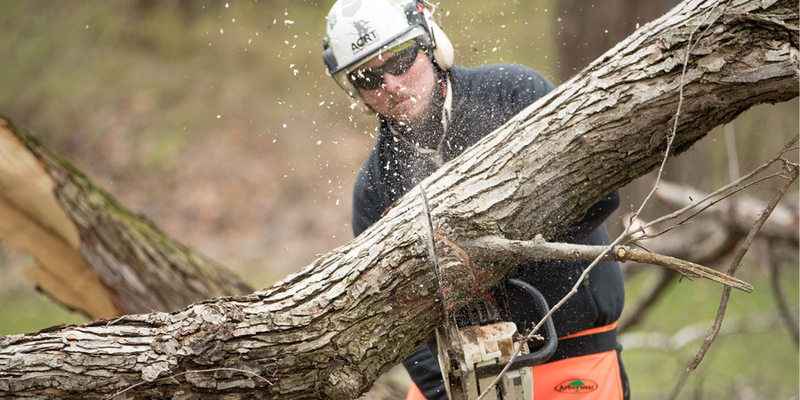 ACRT Arborist Training employees are highly-trained individuals and are always respectful of our company’s dedication to safety. We also understand the responsibility that our students have when they’re in the field to keep themselves and others safe. Our classes help them manage this responsibility with in-depth training. Our people are helping train the next generation of arborists. What makes them great instructors is that they have a drive to mentor and coach their peers. It’s crucial that our employees live and breathe safety because they are passing it on both through training and by example. We are dedicated to providing the best education for the future of our industry. Our instructors are highly-experienced individuals who have years of experience within the industry. Because of their backgrounds, they have a solid understanding of the correct processes and safety standards. All of our people love working in the outdoors. With all the hands-on demonstrations that our classes include, they spend plenty of time in fresh air. ACRT Arborist Training is helping train the industry with experienced and well-educated training instructors. Our team is driven by the opportunity to help build a safety conscious environment for the next generation of arborists and tree care workers. If helping teach your peers and leading them towards better work practices sounds like a job you’d be interested in, we want to hear from you! We’re looking for individuals to join our team, check out our open opportunities to learn more. We’re looking for qualified individuals to join our team. Check out our open opportunities here to learn more. Incredibly knowledgeable, experienced and caring group of professionals. They are detail oriented and genuinely care about safety of their students and staff. It shines through in their detailed, fun and educational courses. Thanks again, ACRT, for a great week.